A kalderimi (a word derived from the Turkish 'kaldırım') is a cobblestone-paved road built for hoofed traffic. 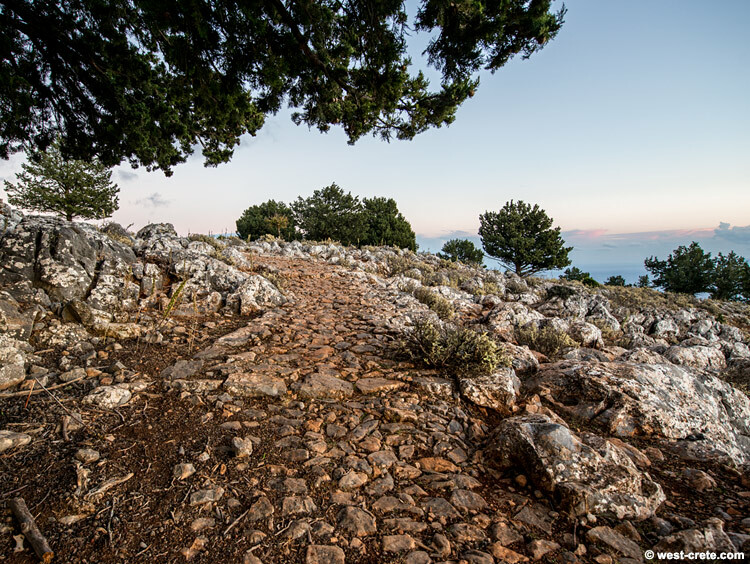 This is a view of an important (and probably very ancient) path that connects Agia Roumeli (ancient Tarra) to Agios Ioannis and other villages on the plateau. The photo is taken right at the point where you reach the top of the ascent. The photo was made at sunset time which is why the path looks so red.